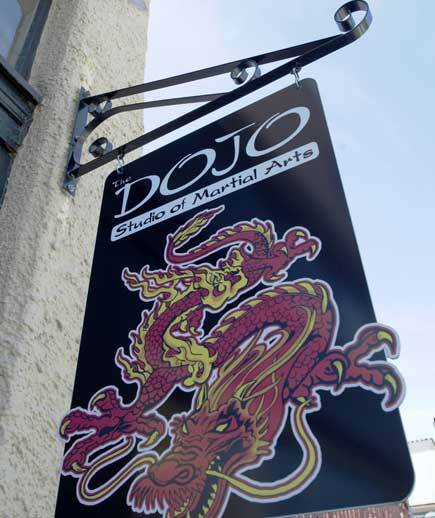 The Dojo’s mission is to impact and empower people with the positive benefits of martial arts and fitness training. We are committed to creating better people and a better world filled with health, happiness, peace, and harmony built from a unique blend of old traditional and modern day martial arts training. Studying the best martial art skills and life skills from the East and the West is our quest. SpecialTry us free for 2 free classes! Wear comfortable clothes. No need to call ahead! Kick Boxing moves combined with upbeat music and a variety of exercises will sculpt your body in a fun whole-body work out. A circuit-based 45 minute exercise class. An accelerated whole-body work out that's perfect for the working professional. Bag class incorporates cardio-based kicking, punching, footwork and agility drills against a free-standing heavy bag for a whole body workout that will tone, sculpt and trim your body. This class features varied training tools and High Intensity Intervals built on strong, focused, and functional movements, guaranteed to be outrageously fun. TRX suspension training builds strength, core stability, and improves posture. Partnered with deep core training and stretching using the foam roller, you will experience workout and relaxation in 45 minutes! This class is low-impact and suitable for all levels. Build strength, improve balance, and increase your range of motion. The functional movements in this class will train your body to move more efficiently and reduce the risk of injuries. This 45 minute class is low-impact and suitable for all levels. A high energy, fun class for preschoolers and kindergartners, our Kinder Kicks program works on balance and coordination skills, while introducing martial arts basics in preparation for Dojo Kids. 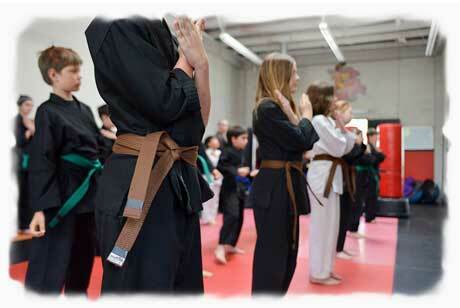 Dojo Kids gain the tools, confidence, and courage necessary to make healthy and positive life decisions. We focus on the five pillars of martial arts – Respect, Integrity, Courage, Effort, and Strength – while in the Dojo, at home, and in school. Success in Dojo Kids can overflow into school and personal life. The unique drills are designed to work speed, focus, and power, and can also have a positive crossover effect on performance in other sports. Develop positive character traits such as perseverance, goal-setting, respect, honor and discipline. Earn your Black Belt! Join the ever-increasing number of teens who realize the power that a Black Belt has on college applications and job interviews. The adult martial arts program will help turn back the clock through agility, flexibility, and focused training. We will strengthen your body and help you to continue to set positive goals in your life. Be empowered! Work out as a family and enjoy the full benefits of martial arts. Sifu Robin and Phil are amazing, so friendly and warm to both parents and students. They have been so wonderful with my child and make each class exciting with such positive lessons. This dojo is wonderful, and I would strongly encourage anybody and everybody to train there. It is a warm and often humorous environment that is always family friendly. You will not find a better work out, and the instructors are more than willing to help tailor each workout to your personal need. Birthday Parties Come celebrate with us! 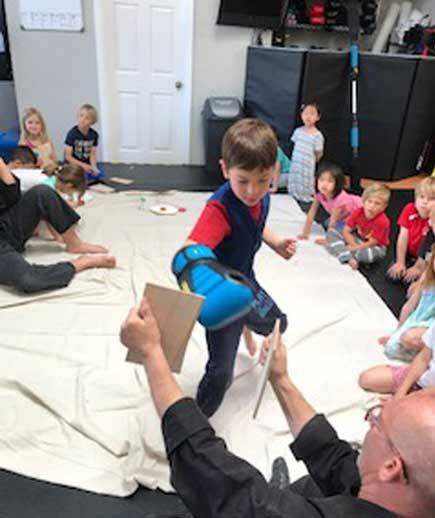 Hosting a birthday party at The Dojo is fun for kids and easy for parents.